Conetix Review 2019: Is Conetix a Good Hosting? In business as a hosting provider since 2003, Conitex offers shared hosting, VPS, reseller, and managed Joomla! and WordPress hosting services to businesses and individuals in Australia. Their hosting plans come with a range of features that enable users to manage their websites on high performing servers. Although their prices are a bit high, some of the resources like CloudFlare, WordPress toolkit, SSD acceleration, and security hardening make them a worthwhile provider. Conetix’s journey can be traced back to 1996 as a division of Hypermax Internet, an ISP. By 2000, they decided to offer more niche specific offerings and transitioned for about three years until 2003 when they started offering web hosting services. An Australian owned company, they focus on providing enterprise grade solutions ranging from basic web hosting through to advanced application and desktop delivery. Their web hosting services pay particular attention to CMS in all three hosting areas – Web hosting, managed CMS hosting, and VPS. Conetix is one of the few hosting providers that think of the environment; their data center, located in the Brisbane Airport Corporation precinct, runs on 100% green power. As mentioned above, the backups are server-level and do not allow a simple roll-back if you make a mistake in coding or have issues with an upgrade. If you don’t want to have to deal with taking backups from the Plesk control panel, you could go for a Managed WordPress or Joomla! plan. These come with backups that you can simply roll back. The feature that stands the shared plans apart from other hosting providers, however, is the WordPress Toolkit 3.0 that comes with them , and with the VPS packages as well. Working as an extension of Plesk, the WordPress toolkit allows you to simplify, automate, and manage a variety of WordPress tasks with one click. You can quickly use toggles to disable search engine indexing, enable maintenance mode or debugging, turn on password protection and other security details, turn on caching, and more. There are also smaller links for cloning, syncing, and backing up/restoring your website. Another plus is that it comes with a security scanner that implements the latest WordPress practices on security. At first glance, Conetix prices are a bit high, but when compared with the resources you get, they’re quite worthwhile. 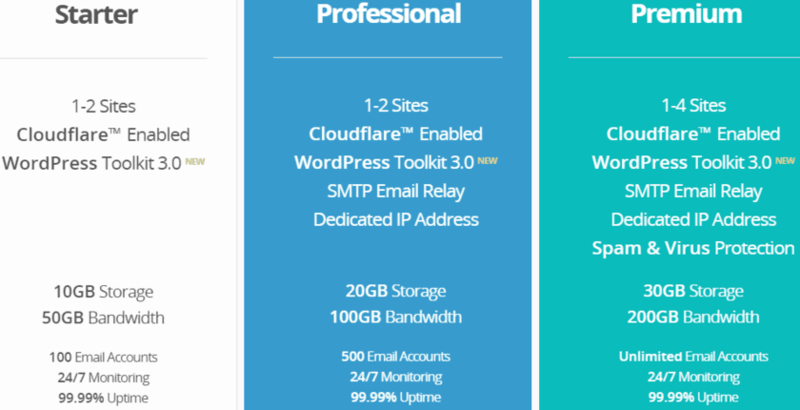 For one, Cloudflare works on all shared hosting plans including the managed WordPress and Joomla! packages. Also, you get two static IP addresses and nightly/weekly backup on the WordPress and Joomla! plans. They also offer security with spam and virus protection, and their high-grade Dell servers. Therefore, it’s more than worthwhile for the price you pay. Conetix offers a money-back guarantee, too. Although they provide support during the regular Australia business hours of 9 a.m. to 5 p.m. AEST, I received a prompt response even though I emailed them about four hours later. That shows dedication to service, and the support agent was professional and resourceful. You can use the contact form on the website, their phone number, email address, or contact them through your client area. Alternatively, you can check out the knowledge base to find some quick answers on your own. Conitex provides better than average hosting services in Australia. Their hosting plans come packed with resources that ensure good performance, stability, and speed of servers. Both beginners and experts will find them relevant. Get top performance hosting at Conetix! 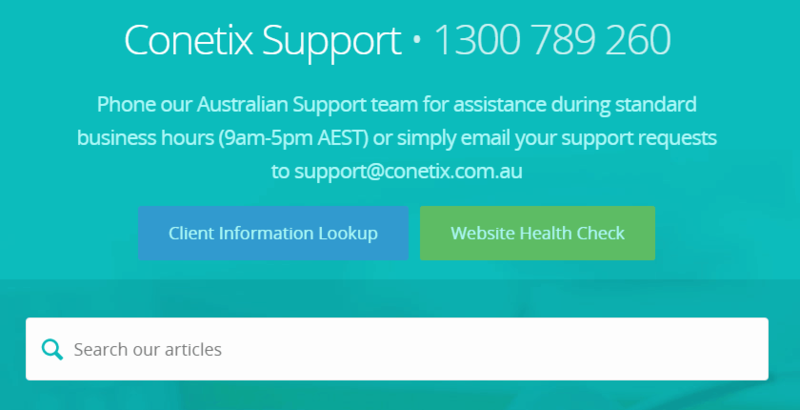 Wondering how Conetix stacks up against other Web Hosting companies? Enter any other Web Hosting company and we will give you a side-by-side comparison.